Get More Done. Even Faster. Reliable Performance - Easily print up to 25,000 pages per month, plus enjoy fewer maintenance hassles, thanks to our state- of-the-art paper handling. Keep Jobs Moving - With a maximum input capacity of up to 3,300 sheets and a high yield toner cartridge, you won't have to add paper or change cartridges as often. Get Work Done Quickly - Enjoy print and copy speeds up to 70 pages per minute, produce your first page in as little as 4 seconds and scan a two-sided document in a single pass. Smart and Easy to Use - A vibrant 7-inch or 10-inch color touch screen on the XM5100 Series provides access to pre-installed workflow solutions. Apps Make it Easy - Preloaded solutions work much like mobile phone apps. 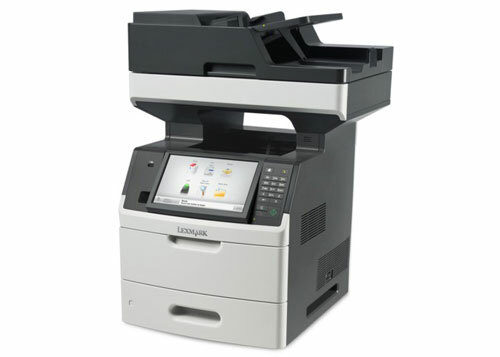 Touch the screen and access shortcuts to scan,print, copy or send faxes, emails and other documents fast. Enjoy Enterprise-level Security - Now you can authenticate, authorize and audit employee usage. You can also protect sensitive data using standard network security protocols, data encryption and disk wiping capabilities.